Guitar Player Magazine--Guitar and ukulele players now have a simple, natural way to integrate harmonica play into their music for enhanced artistry and variety, thanks to harping legend Lee Oskar’s unique system of customized products and educational resources. 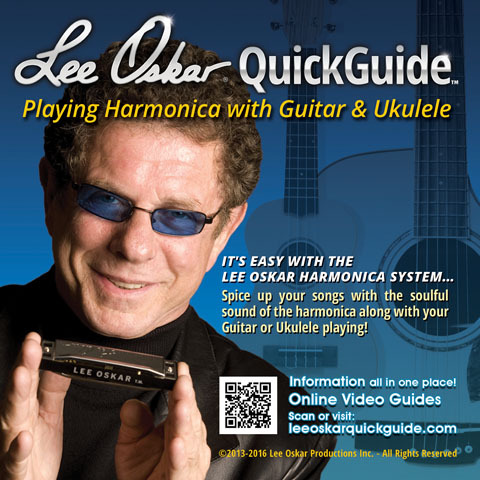 The Lee Oskar Harmonicas QuickStart Kit for Guitar/Ukulele Players was designed to inspire musicians to experiment and explore how the harmonica can be incorporated into their music. These synergistic tools can help guitar and ukulele players expand their use and understanding of harmonica playing, spanning all genres, styles and levels. Read more.